Post written: January 5th, 12am. Sooooo I was supposed to be editing my essay right now but instead i am following Kanye’s epic rant currently occurring on Twitter. Why is this more important than editing an essay on the community organizing of African Diasporic women in Toronto as part of my application to Graduate School (deadline in two days)? It’s not. But I’m caught up. And Kanye has inspired all of this creative energy that academia cannot currently satisfy. The magic and twisted sickness of social media that allows you to feel connected to someone you have never ever met and probably never will…is scary…yet…boundary breaking. It is so crazy that Kanye is ranting like this hours after I started and then deleted a post I was preparing to write about my love for him (instigated by my avid fascination with his VOYR video diaries – a behind-the-scenes look at the Watch the Throne tour). 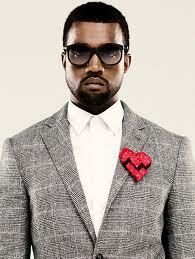 This is a love for Kanye the Artist, not Kanye the Man. 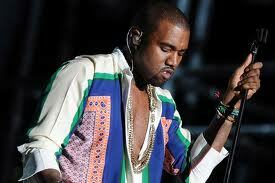 I cannot speak on Kanye the man, because I have never met him and maybe never will, which is totally ok. I am not particularly interested in speculating on who he sleeps with, how he feels or why he does what he does, in a gossip-column/reality-tv style which although sometimes entertaining (I am definitely guilty of watching more than a few segments of Wendy Williams’ Hot Topics) often leaves me feeling as though I lost brain cells between the time I started and the time it ended. But I do retain the rights to my initial intention for posting. I love Kanye. I think it is a generally agreed upon fact that he’s a love him/hate him kind of figure in pop culture. But I know that a lot of people – especially people who try to create simplistic categorization in Hip Hop like “conscious vs. mainstream rap” (which I hate – maybe that’s a rant for another post) – generally assume I would be on the hate him bandwagon due to my affinity/identification with Black feminism, community activism, alternative education, critical analysis, etc. Nope. Wrong Assumption. I love him. Now don’t get me wrong. It is a critical love. It is a turbulent love. It is a love that comes with pain and sometimes…a little embarrassment. But it is also an inspiring love. A love that can sometimes provide me with motivation. And that to me is what makes Kanye so special. He invokes sooo many feelings inside of me because he brings such a layered, nuanced, complex and raw way of being that I cannot compare to anyone else in current Hip Hop/popular culture. I mourn the departure of College Dropout Kanye and recognize with sadness that he will never and can never return to that person again. I also screamed and rhymed along with every song until my voice was hoarse for Watch the Throne Kanye two months ago at the Air Canada Centre. His video for Monster made me cringe and hurt inside, wondering why he would conceptualize female bodies as lifeless props and reflecting on where all of this twisted misogynistic hatred for women inside of him derives from. However his performance of Power on Saturday Night Live left me speechless; captivated by the beauty, brilliance, passion and simplicity that he created utilizing the female form through ballet. His infamous interruption of Taylor Swift made me embrrassed inside for him as I saw him stumble and stutter. His interruption of Mike Myers during Hurricane Katrina made me raise a fist in the air nodding encouragement through his stumbling and stuttering and whispering affirmations of “Yes Kanye…tell them!” at my TV screen. What is the purpose of an artist if not to invoke feeling? To challenge? To push? To go to the uncomfortable places and expose the beauty and the ugliness and everything in between? So much of Hip Hop and mainstream media in general is boring because it is about superficial commercial nothingness – it sold out to the institutions that continue to demand the dehumanization of the population in order to maintain our acquiescence to the status quo. As a result FEELINGS – real feelings, real expression of the layered and raw feelings we all have all the time, feelings that push us into action and movement – they are not given space to breathe…they are dismissed as crazy…maybe it is crazy to want to feel in this world. 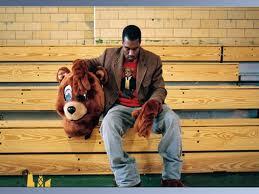 I can say without shame that Kanye’s Graduation CD helped me get through my MA. I listened to Good Morning, Champion, and Stronger almost everyday because those lyrics inspired me and their beauty helped me write and read when I didn’t feel like it. I think it is entirely possible to pay attention to the art and respect it for what it is. Let’s just let everyone be great! Dope post! WTT was my first time seeing Kanye live…I was fully there for Jay, but Kayne made me look at him with brand new eyes after that night…his passion is palpable.